How Far is Shanti Savitri Homes? Shanti Constructions is here to surprise you with an enclave of magnificent ready to occupy apartments in Urapakkam, GST, Chennai. Placed strategically in a busiest residential hub of Urapakkam, this project offers an array of meticulous apartments for sale in Chennai. 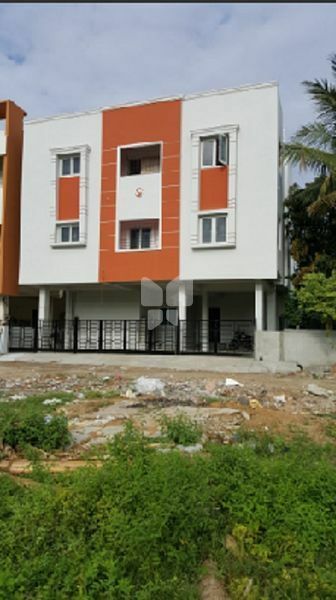 This project offers you compact and spacious 1BHK apartment for sale in Chennai, for a happy nuclear family you can opt for meticulous 3BHK apartments which are well - equipped and have ample natural light into it. These apartments are comprised of world-class fittings, modern-day amenities, and lavish designs. Home is a place where you create, share and preserve the memories, every aspect of it tells a different story that your family had gone through the years, Shanti Savitri Homes is a perfect place for such a home. The project is developed considering how important it is to you and what will you seek from a good home, all of your needs and choices are perfectly occupied in this development. Affordable houses with loaded amenities are not just a dream now, it is a reality with Shanti Savitri Homes. Though this project is situated in a bustling city, it has a sense of serenity and calm atmosphere, ensuring you a very exclusive and private life. Be a part of Shanti Savitri Homes and bring happiness to you and your family.